Muscle or soft tissue injury rates are consistently low, so from that point of view, it is one facet of our overall approach to player health and recovery, which does seem to be helping us. You want the same energy levels from the first ball of the day, to the last ball of the day. I find drinking O.R.S helps me to concentrate. 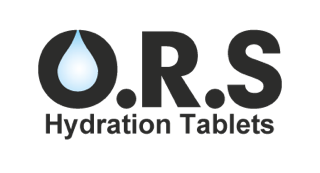 O.R.S Tablets will enable our cyclists to quickly, easily take on those important minerals and electrolytes, carry on cycling ad get the best out of themselves on the day. A series of large cycling events in London, have chosen O.R.S Hydration Tablets to hydrate participants for the world’s largest cycling event. You just put two tablets in and it’s easy. We all use them every day during training, and during matches as well. Hydration is a big thing in sport; if you’re not hydrated, and you aren’t putting the right things into your body, you aren’t going to get the performances you want at the end. 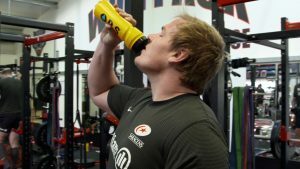 A new product at Saracens, can already see from the performances this season that it’s had a huge positive effect on the team and the squad. The great thing about O.R.S is the real lack of sugar within their product. There are sports drinks out there which contain a lot of sugar, and things you don’t necessarily need for performance. You lose strength, you lose speed, you’re in a greater risk of injury. 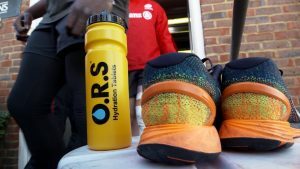 Hydration is vital to performing well week in and week out, and O.R.S helps all the boys here at Saracens immensely with that issue we face every day. Sodium and Chloride are electrolytes table salt is made of, and they serve to maintain fluid balance within the body, and also support the functioning of cells. Sodium Chloride can be found in; table salt, cheese and meats like beef or pork. 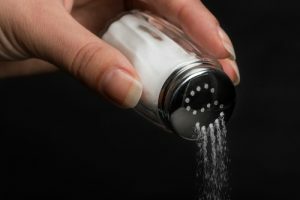 It’s abundant in a lot of processed or readily available foods, like nuts, pretzels and sauces like ketchup and mayonnaise, so chances are you get plenty of sodium chloride already. 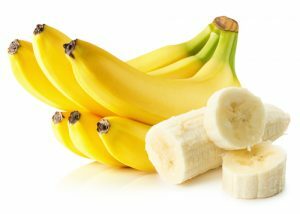 Potassium supports normal cell function and regulates blood pressure. Bananas, avocados, spinach and sweet potatoes are exceptional providers of potassium. Magnesium supports bone and teeth development, as well as keeping blood pressure low and muscles functioning properly. 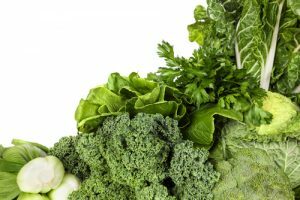 Leafy green vegetables like spinach, beans, lentils, whole grains and avocados contain great sources of magnesium. Calcium keeps bones and teeth in strong form, and muscles and enzymes working effectively. 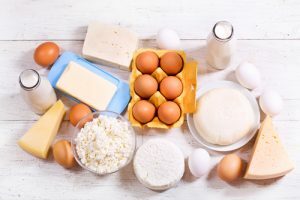 Dairy products like milk and cheese are excellent sources of calcium, as are eggs, beans and asparagus.